Want your own server? View our games! 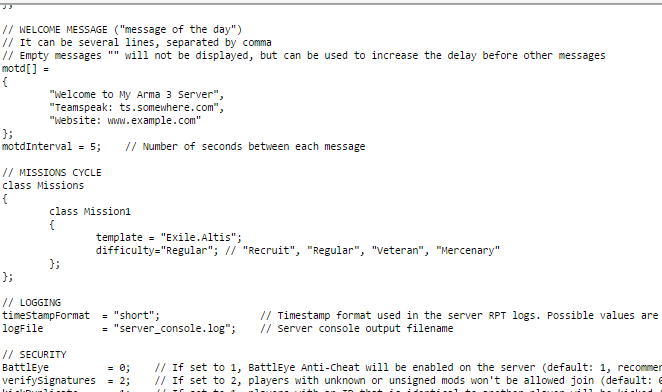 Next, while we are setting up your website details go to the mod manager and install the Exile server files and Exile files, these may take a while to install. Once these are both installed add the following to your command line manager and click save, then select it on the right hand side so it’s in bold. Keep your database name, database user and password safe as they will be needed for a future step. 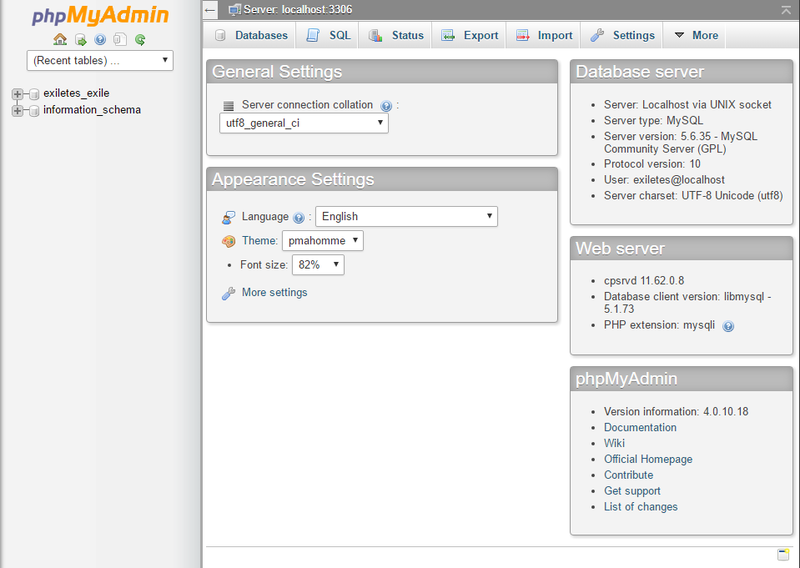 Next navigate to phpMyAdmin on Cpanel, and look for your new database on the left, mine is called exiletes_exile Open the database up by clicking on it and go to import at the top. Next download the following file and open it in notepad SQL File, you will need to edit the following part to include your database name on line 13 and 14. 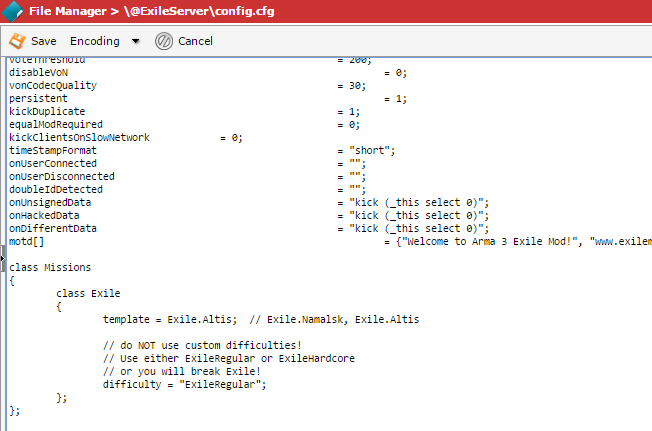 My database name is “exiletes_exile” then in phpMyAdmin import the MySQL file you just edited with the default settings and it should create your tables. Still need help? Submit a Ticket.